https://marketplace.visualstudio.com/items?itemName=WaelHamze.xrm-ci-framework-build-tasks xRM Continuous Integration (CI) Framework tools for automated DevOps processes, covering build automation and release automation in VSTS (Visual Studio Team Services). https://alexacrm.com/plugin/ Integrate Microsoft Dynamics 365 with WordPress for forms, security and more. Download: http://www.sonomapartners.com/tools/multiselect2015 Intro blog post: http://blog.sonomapartners.com/2016/12/introducing-multi-select-for-dynamics-365-for-sales.html Select multiple values from a predefined list, rendered as either checklist, listbox, list view or tag style “selectize” control. https://github.com/daryllabar/XrmUnitTest Xrm Unit Testing Framework provides a long list of features that makes developing unit tests in CRM quicker, faster, easier, and more reliable. 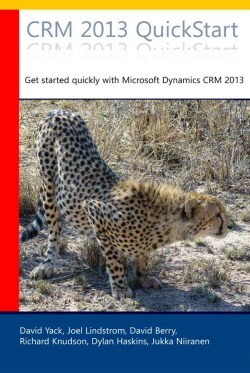 https://github.com/jordimontana82/fake-xrm-easy https://dynamicsvalue.com/home FakeXrmEasy is an open source automated testing framework specifically designed for Dynamics CRM versions 2011, 2013, 2015 and 2016.
http://crmoptionsets.azurewebsites.net/ A tool to create and update JSON configurations for Dynamics CRM Dependent Option Sets.